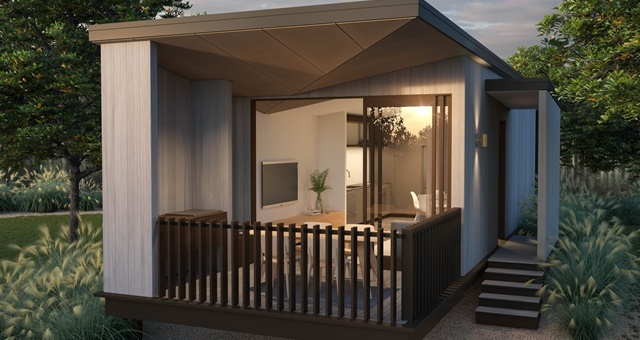 A rendering of a one-bedroom villa on the way to Ramada Resort by Wyndham Flynns Beach, NSW. Work has begun on the first of a five-stage project which will see a dramatic expansion of Ramada Resort by Wyndham Flynns Beach on the NSW mid-north coast, with apartment numbers set to nearly double from 60 to 113. The expansion comes largely as a result of explosive growth in the WorldMark South Pacific Club timeshare program, which has more than 58,000 owners served by Wyndham Destinations Asia Pacific. The 53 new villas will range in size from one, two, three and four bedrooms, with a range of deluxe, grand and presidential suites also included in an effort to diversify the range of accommodations available. As part of the resort’s expansion, a new café, fitness centre, kids games area, kids swimming pool, common area and car park will also be constructed. In addition, the reception area will be relocated to the front of the resort, near the entrance driveway. Works form the second and final part of a grand Wyndham Destinations Master Plan for the site. The projects is expected to be completed in five stages using modular construction, with an estimated completion date in the second half of 2020. The process is aimed at minimising disturbance to resort guests and the surrounding environment. Once finished, the resort says it hopes to hire additional staff, with suppliers tipped to also add new positions to handle increased demand. “Ramada Flynns Beach typically hits occupancy levels of 90 per cent across the year thanks to its popularity with the club’s vacation owners and resort guests,” said Warren Cullum, Vice President Resort Operations – South Pacific, Wyndham Destinations Asia Pacific.